The Lab’s staff is dedicated to providing quality service and technologies to the students and faculty of the School of Medicine. Please feel free to contact us at any time regarding the services that we offer. Associate Professor of MedicineDr. McGee is Director of the Laboratory for Educational Technology. He oversees the Lab, defines the Lab’s educational and strategic vision, and selects new projects and initiatives. He lectures, presents, and disseminates the Lab’s work at national and international conferences. He also participates in the design and development of Lab technologies. Dr. McGee is a practicing gastroenterologist. Jane Alexander has been a member of the Lab for Educational Technology since its inception in 2002. She is the Senior Project Manager and is responsible for the oversight and coordination of web-based software design, code development, testing and implementation. She oversees project requirements and analysis from the Lab’s customers and leads the team in producing creative and educationally sound technology solutions. Maria is the Education Systems Manager at the Laboratory for Educational Technology. She has held four positions since joining the LET team in 2005. Maria collaborates with the SOM faculty and staff using instructional design fundamentals and user experience design to best utilize the software and tools the LET provides. She works closely with the student technology committee, regularly meeting together with them and managers from other associated departments to discuss technological improvements to the online learning systems the LET manages. In addition, Maria tracks 34 SOM courses, 10 clerkships, several electives, and other courses/content within the learning management system assuring that the material is present online in a timely manner for student use. She is the point of contact for all faculty, staff, and students with new tech ideas and provides everyday tech support. Maria leads training sessions on all LET products and is available for consultation by appointment. 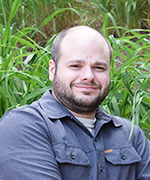 Chris Toth is a full stack software developer at the Laboratory for Educational Technology. He develops, implements and maintains both frontend and backend solutions for Lab applications such as Navigator, Learning Log, and vpSim. In addition, Chris develops API solutions for media delivery platforms such as Mediasite and Panopto. Chris also designs and develops data driven reports for Lab clients using SQL Server Reporting Services and other reporting tools. Neha Shah is a quality assurance tester at the Laboratory for Educational Technology. She works closely with the Lab’s software development team to identify system faults as well as technical and usability issues. 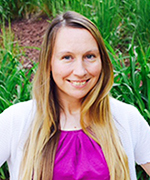 She creates and updates testing plans, ensuring the continued release of high-quality educational software. Heidi Yarnal is the Administrator for the Laboratory for Educational Technology. She works directly with the Lab’s Director, Dr. James B. McGee, to carry out the goals and objectives of the Lab. 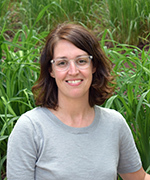 She manages all aspects of the Lab’s operations including but not limited to: purchasing, negotiating licenses and prices, planning and executing physical plant changes, and all accounting. 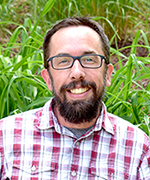 William O’Toole is the newest member of the Laboratory for Educational Technology. He was hired in May 2018 as an Applications Developer and will be focusing on the full-cycle design and coding of web-based software using a variety of programming languages.